The prototype, powered by two electric motors with a 500 kW (680 PS) system performance, is being developed to beat the lap record for electric vehicles on the Nürburgring-Nordschleife this summer. 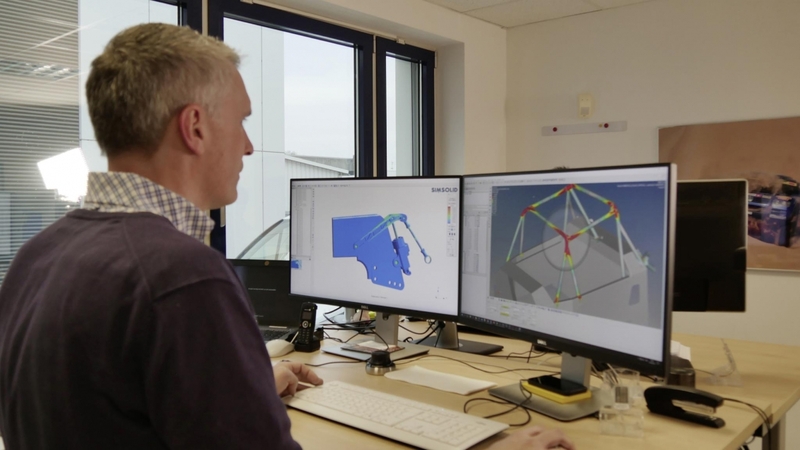 As well as extensive test drives and the work in the wind tunnel, Volkswagen Motorsport is also strongly relying on computer simulations in the preparation phase. These digital tools not only represent essential support for the engineers, they also save time and costs. Whatever Romain Dumas inputs through the virtual cockpit – known as “Driver in the Loop” – the computer then builds upon in the offline driving dynamics simulation, whereby it completes, theoretically, an infinite number of laps with a saved profile. In this way, the simulations can determine how different power outputs of the motors or shifts in the vehicle’s centre of gravity affect the ultimate lap time. This is all with the aim of optimising the handling of the car and the responsiveness of the motors.In the flow simulation, the Volkswagen Motorsport aerodynamics department uses CFD (Computational Fluid Dynamics) technology to study how the airflow is channeled around the ID R as well as through the cooling systems most effectively. The ideal compromise between downforce and aerodynamic drag is sought after. Battery simulation compares power management and recuperation strategies to ensure the most efficient use of the electrical energy, which is stored in the batteries and recovered during braking. Finally, the structure simulation deals with the mechanical design of individual components. The Nürburgring-Nordschleife poses high demands on the structure of the race car. A focus of the structure simulation is therefore to calculate the loads on the chassis, suspension and bodywork of the ID R. For example, the so-called topology optimisation is something also employed in the development of production vehicles. A typical task is to design a component within a given space. Whereas in production vehicle development the requirements mostly relate to durability and economical construction, the priorities concerning the ID R are both ensuring necessary stability while also keeping the car as light as possible. Highly elaborately shaped parts, such as, for example, cable fixtures or aerodynamic components, could conventionally only ever be made in a time-consuming and costly way. “When it’s required, we manufacture these components as individual pieces made of special plastics in 3D printers. This usually concerns relatively small parts that are not exposed to high mechanical loads,” says Ahrenholz. 3D printing plays only a minor role in the construction of production vehicles. However, the computer simulations used by Volkswagen Motorsport are the same as those employed by Volkswagen in the development of the ID range. These repeated parallels between motorsport and production vehicles are no coincidence: the ID R race car is the racing forerunner to the ID product family, with which Volkswagen is to launch an extensive Electro-mobility offensive from 2020.